Ile aux Oiseaux and its stilt huts. The Ile aux Oiseaux, “bird island”, is a small island in the heart of Arcachon Bay which can only be reached by boat, jet ski or canoe. The island’s stilt huts are now emblematic of Ile aux Oiseaux. Visit Ile aux Oiseaux on a boat trip. Dune du Pilat lies at the entrance to Arcachon Bay in La Teste de Buch in Gironde. 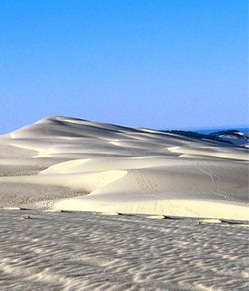 The sand dune is approximately 109m high, 500m wide, 2700m long and 60 million m³ of sand between the ocean and forest. 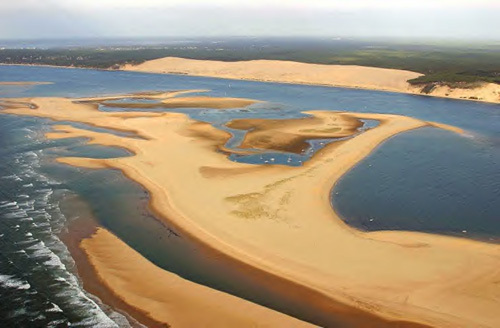 Coq Hardi campsite is less than 30km from the Dune du Pilat, one of the tallest in Europe. Banc d'Arguin is a French nature reserve opposite the entrance to Arcachon Bay between the Dune du Pilat and Pointe du Cap Ferret. 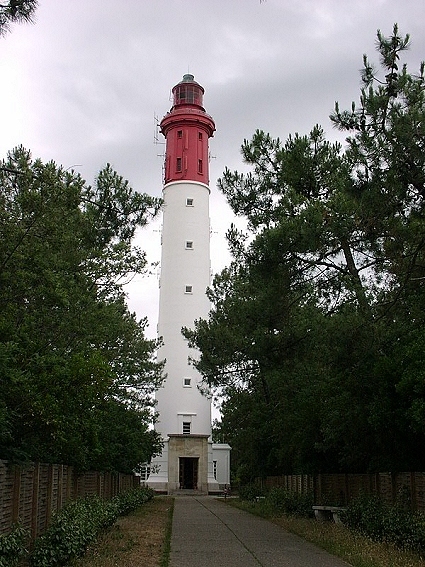 Enjoy fantastic views of Arcachon Bay from the lighthouse. It is open to visitors who walk up 258 steps to the top for breathtaking vistas of our stunning peninsula. Learn about how Arcachon Bay and its surroundings have changed at the exhibition.